The nature of work and the way it is organized continues to undergo profound transformation. "Always-on, always connected:" the ability to a access information and to tap into our social network anytime and anywhere has become a familiar experience to increasing parts of society. The once familiar notion of "workplace" has been stripped of its physical boundaries. In particular, mobile technologies empower the individual to fashion their own work environment, freeing the employee form the confines of time and place that once characterized work. Instead, individual solutions to the demands of work and private life are conceivable. Yet, the impact of technology seems ambivalent. Information and communication technology supports a kind of social acceleration (Rosa 2013) that manifests in "high speed society" in which an increased pace of work together with heigthened levels of competition become our constant companions. While ICT empowers employees to find and enact individual solutions to the demands of modern life, it seems to burden or force employees to accommodate a culture of 24/7 responsiveness - a constant availability to the needs of the company. Appeals, incentives, and rules as well as particular technical design features are commonly accepted means to “correct” unsustainable behavior and to foster employees’ wellbeing. ​We don‘t believe that these existing remedies will be enough. Indeed they may foreclose a discussion that centers on developing the necessary skills for the individual worker to thrive in the digital workplace. In line with the direction of the transformation, we argue that the enpowerment of individuals and teams should not be limited to technical tools but needs to include a reflection of what matters and how to find an appropriate response to the dilemmas of modern work. Exercising this ability is what we call „crafting work in the digital workplace“. "Organisations have steadily evolved a physically distributed workforce, project-based structures, and less enduring team arrangements. [...] knowledge workers tend to spend a large share of their time away from the desk, travelling, and attending meetings in a range of locations." It builds on experience (masterhood) instead of evoking abstract rules. It incorporates a sense of constant care, a drive towards continuing refinement. It emphasizes longevity rather than bricolage or short-term solution. It requires to assume responsibility and to take control. 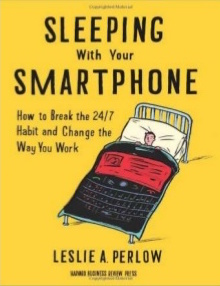 The book by Leslie Perlow takes the example of work routines that have been cultivated at a globally operating consulting company. She refers to a “vicious cycle of responsiveness” in which seemingly legitimate requests for availability get amplified through our actions and their perception in our work environment, bringing forth a habit of 24/7 availability. Yet, she also shows how breaking such a habit may not only result in improved well-being of individuals but better quality of work for the whole team. Rob Cross, Reb Rebele, and Adam Grant caution against the oftentimes cherished impact of ICT in organizations. Communication, collaboration, and thus teamwork may be a necessity for organizational success. 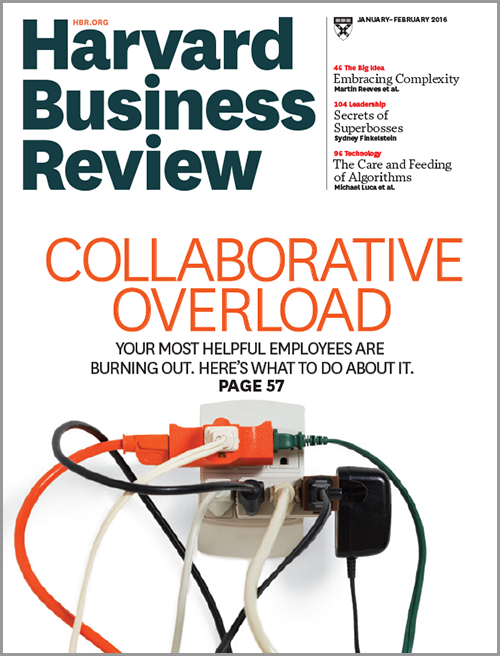 But their data shows that the costs of collaboration have largely gone unnoticed. They find that some employees become overly taxed by requests from colleagues resulting in inefficient and strenuous work. David Levy argues that although our investment in information and communication technology should have freed us from timeconsuming activities of informatin retrieval and management. Instead, of having more time for deep thoughts and reflection, he notes, we seem to have less time. The more-faster-better ideology we have subscribed to, he warns, does not value reflection as a slow-time activity. Another, probably more widely shared connotation refers to George Lucas' Star Wars universe and the metaphysical Force that is at the centre of the battle between good and evil. This connotation invites us to reflect on the undiserable, the unintended or the seductive implications of ICT on our way of life. Technology is not per se good or bad, we should not forget the agency we have in how to put tools available to us to use. "...'the dark side', and 'paths to the dark side' suggest that good and evil is not a distinction between 'us' and 'them'; but rather a battle within ourselves."